It is important to know what size your map will be. A budget, available space to mount a map and workability are factors that are usually taken into account. Additionally, the size of the map can be affected by the amount of detail that needs to be displayed. It also is important to know that fewer details can be depicted when displaying a large area in a small format. The opposite applies for a small area in large format: a lot of detail will be displayed then. 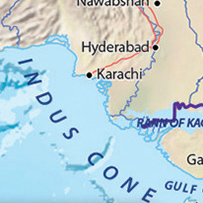 In principle, customised maps can be depicted in any format, with some exceptions for certain versions. For every order, our team tries to display the map image as complete as possible. From a city map, showing every possible detail, to a districts/territory map where the ‘easy-to-use factor’ has the biggest priority. 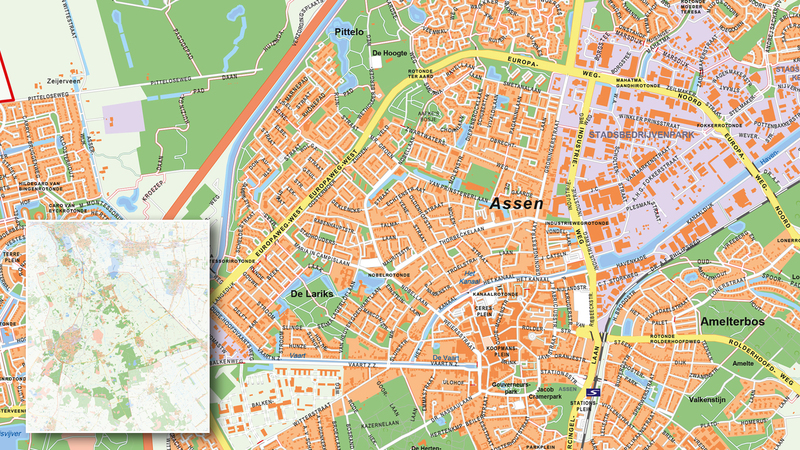 Of course, the map image should not only be complete and workable but also look attractive to the eye. Below you will find the most common scale levels in order of detail from very detailed to very little detail. A city map is the most detailed map image. At this scale level all streets and street names are displayed as well as the buildings. The amount of detail depends on the size of the municipality. 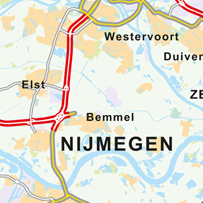 Overall the municipality map is the second most detailed map. At this level, all villages and hamlets are shown. 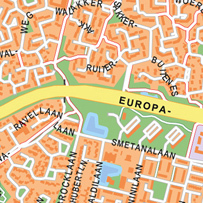 Streets may be shown but are often not displayed with street names. 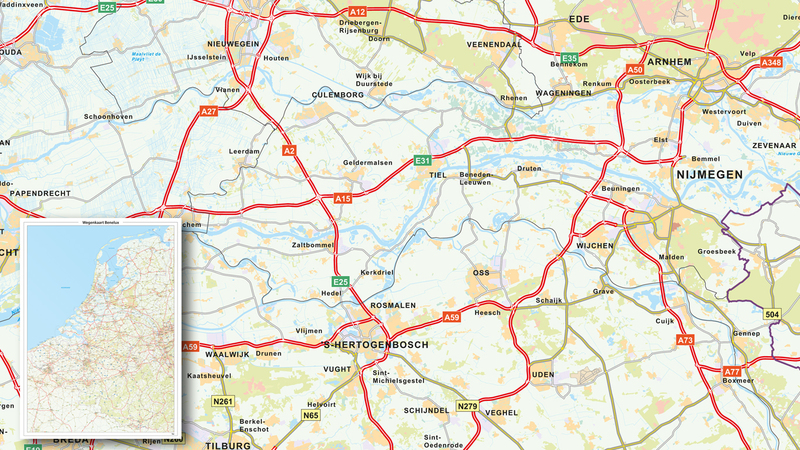 The most common format when depicting a detailed country map is approximately 100x100cm. Capitals, big cities, medium places and most villages are displayed. Country maps can be made on any size however. Detail will differ then. 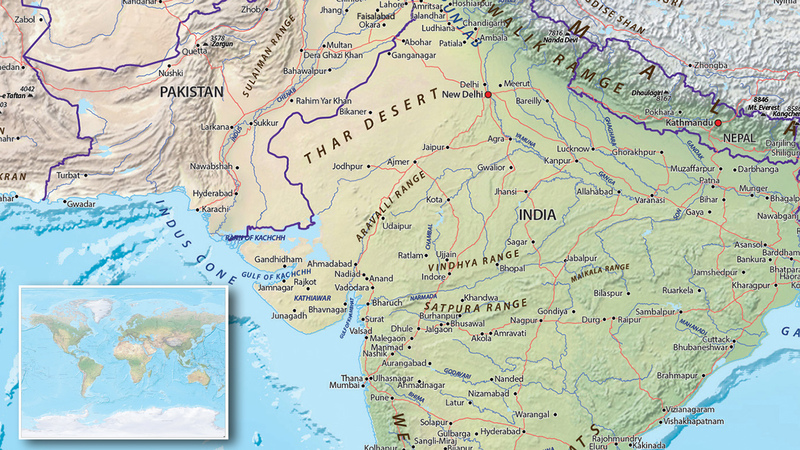 The countries, larger cities, larger waters, mountain ranges and islands are visible, amongst other significant things. World maps exist in many sizes. There are maps with a width of 30cm, though also maps that are 300cm wide.